Hi, I’m looking for a price to clear a 2 bedroom flat in County Durham. I’m not sure what is in it as I haven’t seen inside however I would imagine everything would need to be cleared out. Could you possibly provide a rough idea of the price please? Thanks! 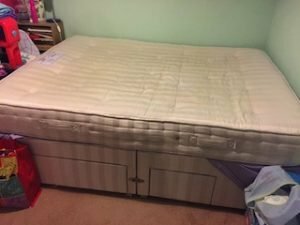 A king size divan bed base on castors, upholstered in striped fabric with two drawers on one side, together with a matching king size mattress. 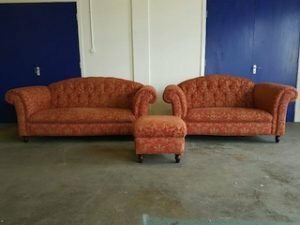 A three piece vintage Chesterfield sofa suite, comprising a three seater sofa, a two seater sofa and a square storage footstool, each on mahogany turned legs and upholstered in orange damask patterned fabric. 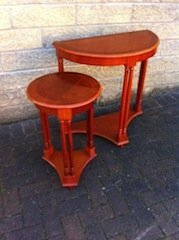 A vintage solid wood demi lune console table, together with a small matching circular side table. 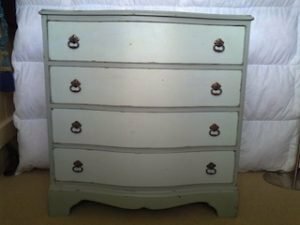 A hand painted white solid wood chest of drawers, having four long drawers, each with two brass handles. 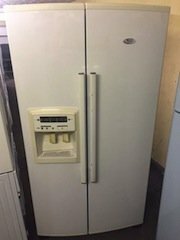 A white tall standing Whirlpool American style fridge freezer, with a built in water and ice dispenser. 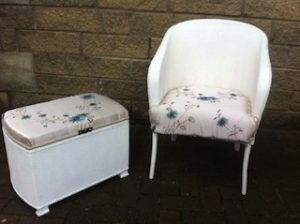 A painted white Lloyd loom chair and matching blanket box, each upholstered in floral patterned pink satin. 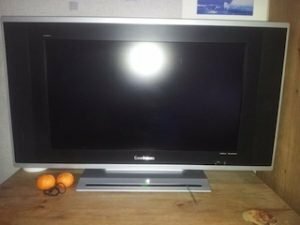 A black and silver Goodmans 26 inch GTV26WLCD flat screen television. 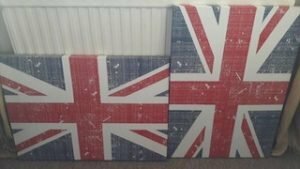 A pair of large rectangular wall canvases printed with Union Jacks. 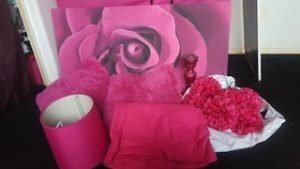 A small collection of hot pink home accessories, to include a large rose printed canvas, two faux fur shaggy cushions, pink artificial roses, a small lampshade and bedding. 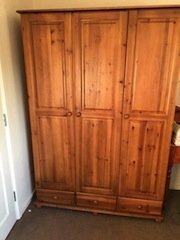 A tall standing solid pine triple wardrobe on ball feet, having three equal size drawers to the bottom. 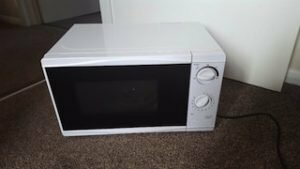 A white and black glass fronted Tesco 20L microwave oven. 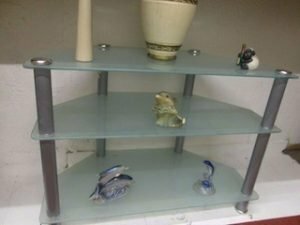 A glass and chrome three shelf corner television unit, together with six ceramic ornaments. 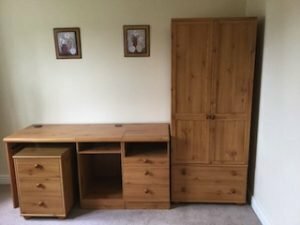 A solid pine tall standing double wardrobe on ball feet, having two drawers to the bottom, together with a matching three drawer desk and a glass topped bedside chest of three drawers. 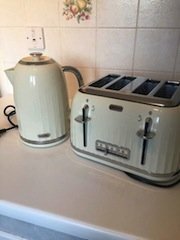 A Breville cream and stainless steel fast boil kettle, together with a matching four slice toaster. 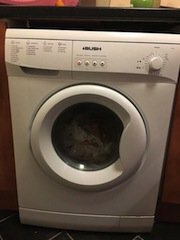 A white Bush under counter 1200 spin washing machine. 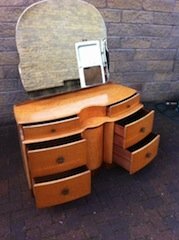 An Art Deco solid wood vanity dressing table and removable mirror, having two small drawers above four large drawers.